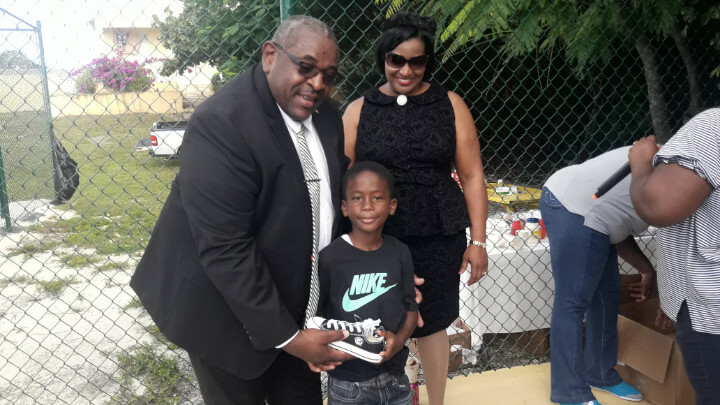 Eleuthera, Bahamas - Children all throughout Eleuthera who participate in sporting activities recently received the treat of a brand new pair of Converse tennis shoes. 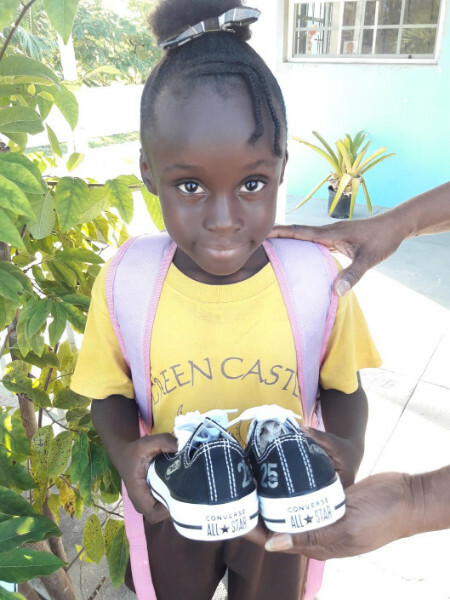 The sneakers were donated by the converse company through one of Eleuthera's winter residents, William "Doug" Douglass, who was happy to arrange the pick up and delivery of the shoes for the children of Eleuthera. 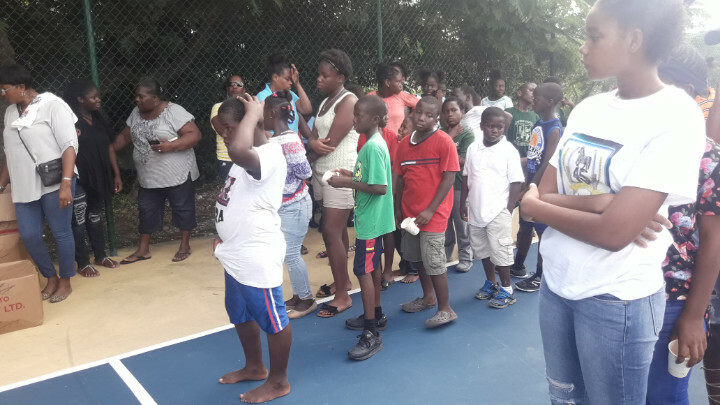 The Urban Renewal office in Eleuthera spearheaded the distribution of the tennis through its officers Bernadette Sweeting and Nicoya Taylor. They arranged a fun day for the kids where the shoes were distributed and the children were treated to lunch, fun and games. 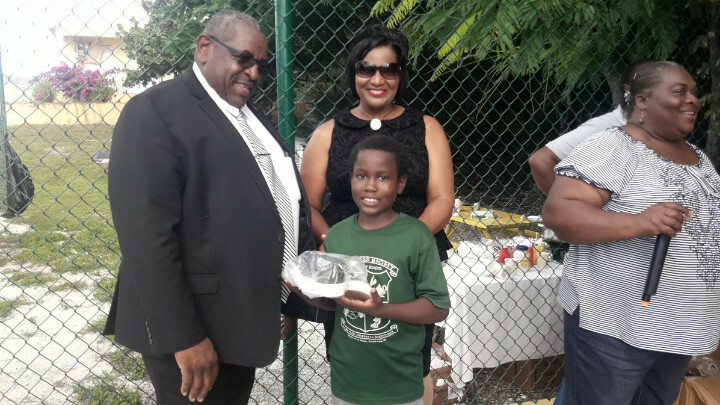 Eleuthera MP Hank Johnson and his wife Shelly were on hand to witness the event, assist in the distribution and encourage the kids. 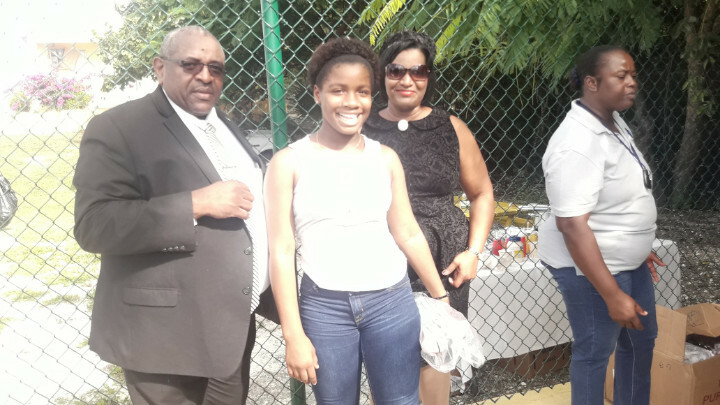 The event was held at the Wemyss Bight Primary School basketball court, which was built and funded last year by Douglass, who has been coming to Eleuthera since 1962. 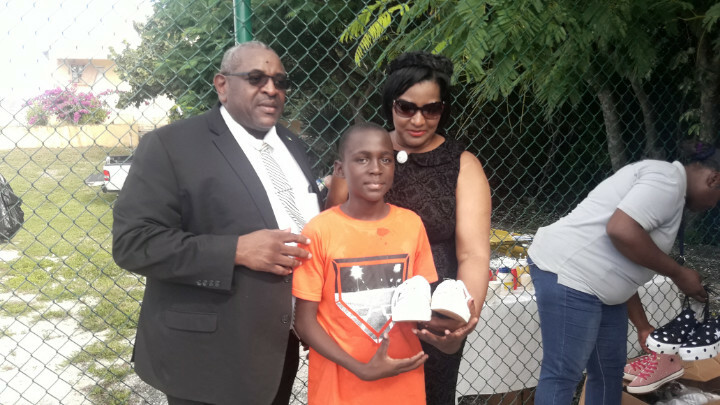 He is the grandson of Pan Am founder and South Eleuthera resident Juan Trippe, and the court was dedicated to his grandfather as well as his grandmother, Betty. Douglass remains a big supporter of Chris "Fireman" Brown, who hails from Wemyss Bight. He believes that if more investments were made into the young people in Out Island settlements, even more great athletes would come out of them. He relayed one request from Converse - that the tennis shoes be given to kids who actively participate in sports. Once the event was over, Urban Renewal then combed the entire island distributing shoes, which amounted to hundreds of pairs. They visited high school and primary schools, attended sporting events and went into settlements to ensure that as many children received a pair as possible. 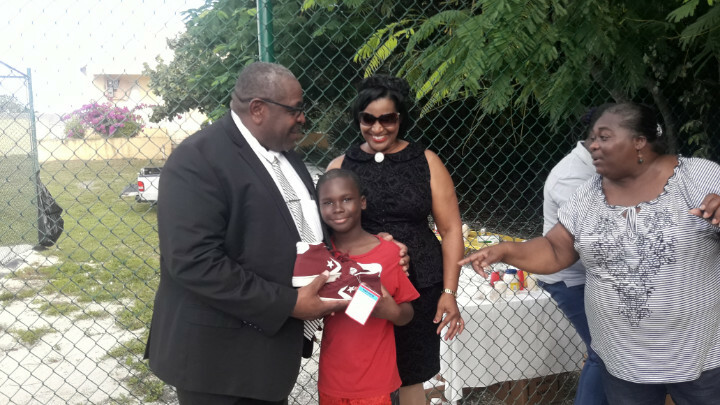 Taylor of Urban renewal said kids who participate in mostly basketball, baseball and track and field got their tennis shoes, and were happy to receive them.